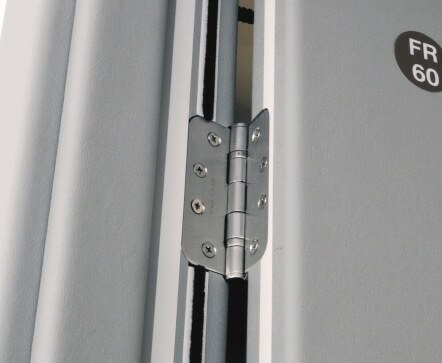 Fire doors & passive fire protection are designed to protect lives and property. They are a critical part of a buildings fire safety design. When working correctly they will stop the spread of smoke and fire from one compartment to another. MJ Fire Safety have a specialist passive fire department. We carry out a comprehensive range of services from fire door inspections, upgrades, replacements and new installations. In addition we conduct fire stopping and compartmentation work. This ranges from coating systems and filling breaches in compartment walls & ceilings with intumescent materials to reinstate the necessary level of fire protection. Fire risk assessors are routinely highlighting passive fire issues. Fire risk assessments are generally littered with observations with regards obvious holes in compartments and defective fire doors. Sadly the importance of fire doors and the prevention of the spread of smoke and flames is still often overlooked. Periodic fire door inspections is a must to ensure all components of the fire door are fit for purpose. MJ Fire Safety have the expertise to arrange the remedial works as highlighted on your fire risk assessment. Furthermore our periodic fire door inspections ensure compliance and help clients meet their obligations under the regulatory reform fire safety order 2005. We work with clients in all business sectors to find solutions to passive fire requirements. If you have a specification of works to arrange or you have a fire risk assessment but are unsure how to proceed with any passive fire requirements give our team a call today. Alternatively please feel free to email us.